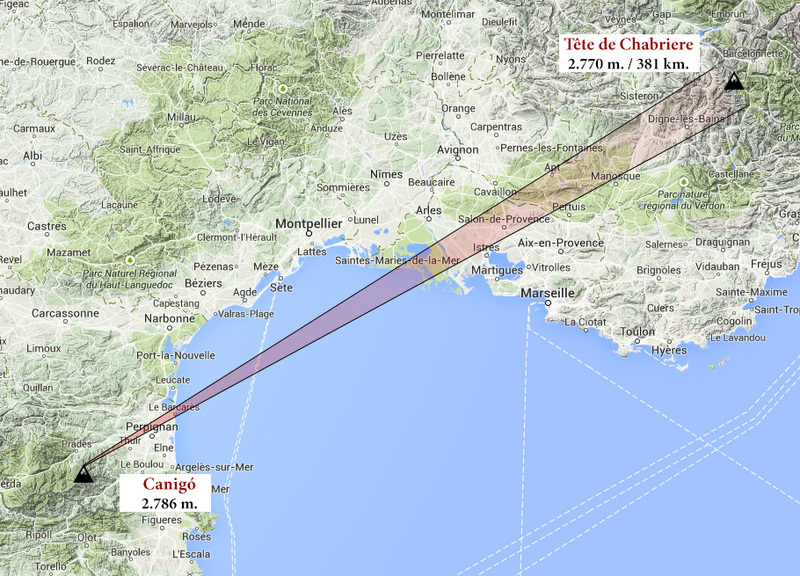 Canigó – Tête de Chabriere | 381 km. When this picture was taken, it became the distant sight world record. It was overtaken by this picture at 388 km. and then by this picture at 443 km. 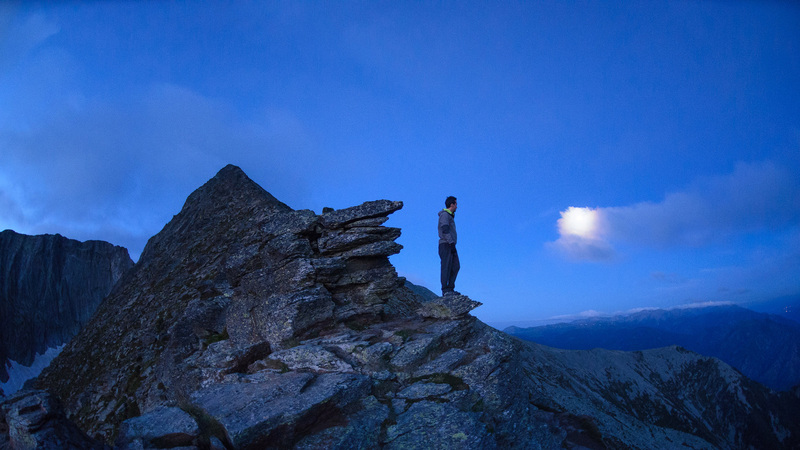 After days of researching, Marc discovered that certain peaks in Maritime Alps range will show in front of the sun at sunrise near summer solstice. Even better, this event will became in a new world record for distant sighting. As we noticed this event will happen on the morning of July 13th 2014, we started the preparation that led us to wake up at 4:00 am in Cortalets mountain refuge, just 600 meters below Canigó summit. After some 2 hours walking under the full moon light, we reached the top at 6:05 am, just 10 minutes before the show began. 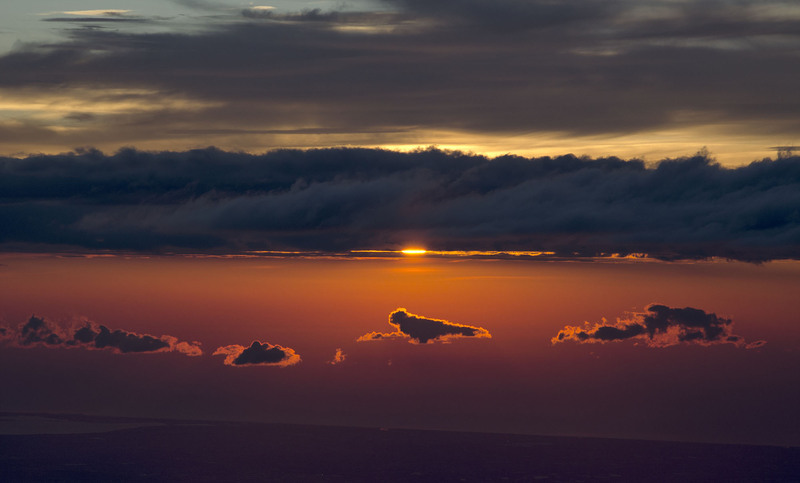 The trekking from Cortalets to Canigó is not a difficult one, and at night it was a great experience as the moon illuminated the track, while at the horizon the sunlight was becoming each time more evident, telling us to hurry up. 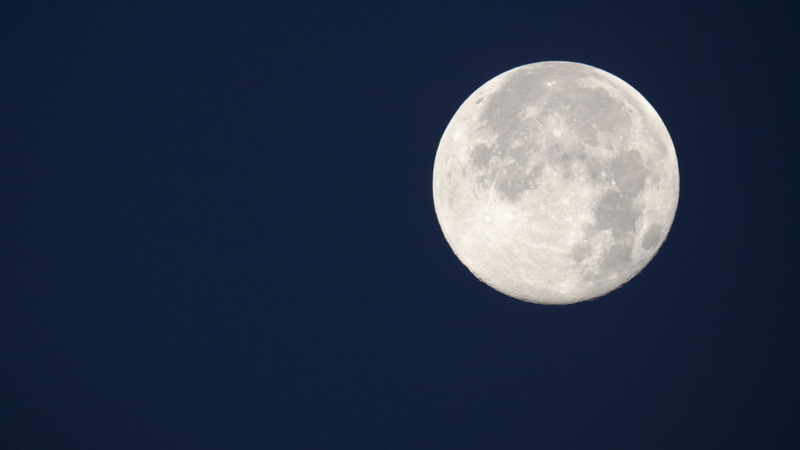 Trekking under moonlight provide us some great pictures. 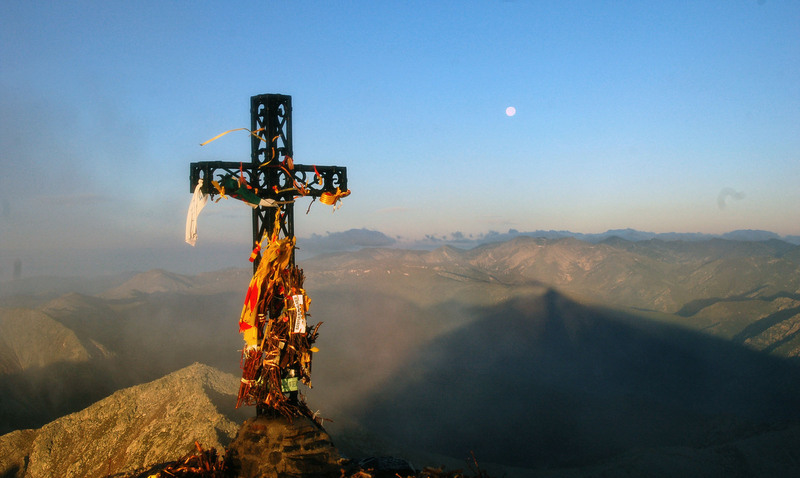 At the summit, a big cross and a french mountaineer accompained us during the show, that we recorded consciously. We were looking at the sun rising, and we knew how the Alps’ silhouettes would look like, so by the time we took the pictures, it was true that we had a new World Record. The sun continuing its way up. An special mention has to be done to Marcos Molina, that even not attending this adventure, has been the reference in distant horizons pictures for the rest of the team. And took part in the elaboration of this plan. To read press release in Spanish, please click here. < Previous Mont Caro – Mallorca | 240 Km. Next > Mallorca – Montserrat | 215 km.